Ways to help prevent your business from being one of the 40% that never recover from a disaster. According to FEMA, almost 40% of small businesses never reopen after a disaster like Hurricane Harvey or Irma. Of those that do reopen, only 29% are still operational after two years. The stats are staggering. The good news is this doesn’t have to be your business. Here are a few tips and resources that could help you beat the odds. Founding Partner Dan McDonald has litigated hundreds of cases over his 30 year career, including over 150 cases tried to jury verdict. Dan knows first-hand the kind of devastation businesses face after natural disasters. In March of 2000, his firm was badly damaged by a powerful tornado that ripped through downtown Fort Worth, Texas. Since that time, he has helped other storm victims get back on their feet and into their homes and businesses. When a disaster happens, everyone involved feels a great deal of anxiety. What you say, and how you say it can make a difference with employees, vendors, customers and business partners. Share recovery plans with your team. Establish one point of contact for employees to get information and ask questions. Remember that they may be dealing with their own losses at home. Consider scheduling regular meetings with employees to communicate recovery progress. Let lenders know what happened. Contact your creditors ASAP to let them know about your situation and discuss your options. Many banks and financial institutions have already agreed to waive certain fees for victims of Harvey and Irma. They may also agree to defer loan payments until your business is back up and running. It never hurts to ask. Update your suppliers and vendors. Remember that vendors and suppliers have a vested interest in your success. Most will be flexible and understanding during your recovery. If necessary, ask if they’ll establish alternative billing or delivery options until you’re back on your feet. Customers may assume the worst after seeing media coverage of the disaster. Establish regular communications, letting them know of anything affecting them, such as temporary operating hours, change of address or scheduling issues. If your business is located in a declared disaster area, you may be eligible for one of several loan options available from the Small Business Administration (SBA). Qualifying businesses can borrow up to $2 million to help in their recovery. Economic Injury Disaster Loans (EIDL) – Working capital loans to help small businesses, small agricultural cooperatives and small businesses engaged in aquaculture and most private, non-profit organizations of all sizes meet their ordinary and necessary financial obligations that cannot be met as a direct result of the disaster. These loans are intended to assist through the disaster recovery period. The U.S. Department of Agriculture also offers loans for eligible farmers and ranchers who suffer qualifying farm related losses directly caused by disasters in designated disaster areas or counties. Don’t think you’ll qualify for a loan? Consider applying for a business line of credit for quick access to capital if and when you need it down the road. Application deadlines for SBA loans for physical damage caused by Harvey and Irma are fast approaching. The insurance claim process moves slowly after disasters like Harvey or Irma. 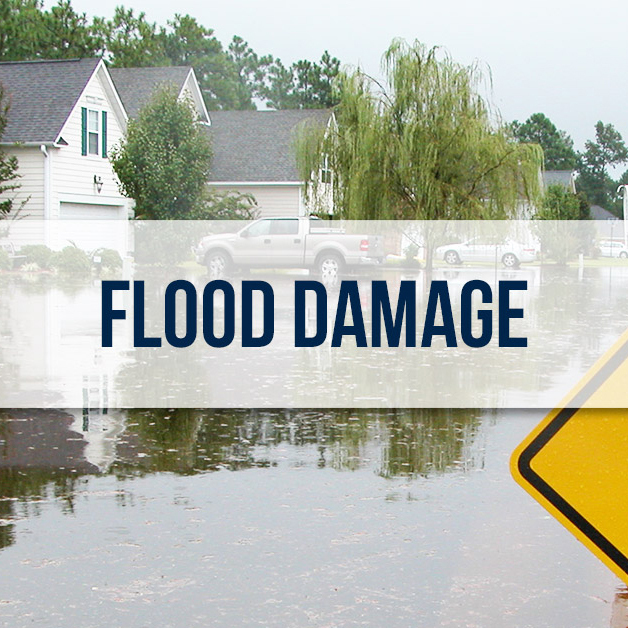 Plus, it will take time to make the necessary repairs to your property. Knowing your numbers in terms of cash flow projection allows you to plan and anticipate for the coming months. This way you can determine how much cash you’ll need to make necessary repairs and still cover wages and other expenses while your business is getting back on its feet. There are a number of cash flow projection tools online, so do your research and find one that works best for you. Sometimes after large scale disasters like Harvey or Irma, insurance companies deny, delay or underpay valid claims. Don’t be tempted to accept a low-ball settlement just to get your business back up and running. Do be proactive. If you believe your insurance company is behaving unfairly, ask an insurance lawyer to review your claim and determine if you’re getting the full value of your policy’s coverage. Many work on a contingency fee which means they only get paid if they recover an award for you. Obviously it’s going to take time and money to get back on your feet. It’s also going to take patience and perseverance. You already know the kind of hard work it takes to build and run a successful business — and no one knows your business better than you. Keep in mind though that it’s also ok to ask for help and advice during difficult times. If you haven’t already, start by developing relationships with other businesses within your community. Also consider connecting with your local Chamber of Commerce, economic development association or other community support organizations. Remember that many other businesses are facing the same challenges as you. It’s never a bad idea to share ideas and resources.